This weekend I will spend 9/11 - and my dad's passing away that same day in Switzerland (long story for another time) - on a 2 day solo trip to Rocky Mountain National Park to finally catch some of the elusive Greenback Cutt's. Still a bit sloppy, but I don't think that the trout will care much. This will be the first time solo in the park, hiking in more than just half a mile off the parking lot. I bet it will be a lot of fun and hopefully the weather (and wind) will cooperate. Stay tuned for an update with report & pics when I get back! 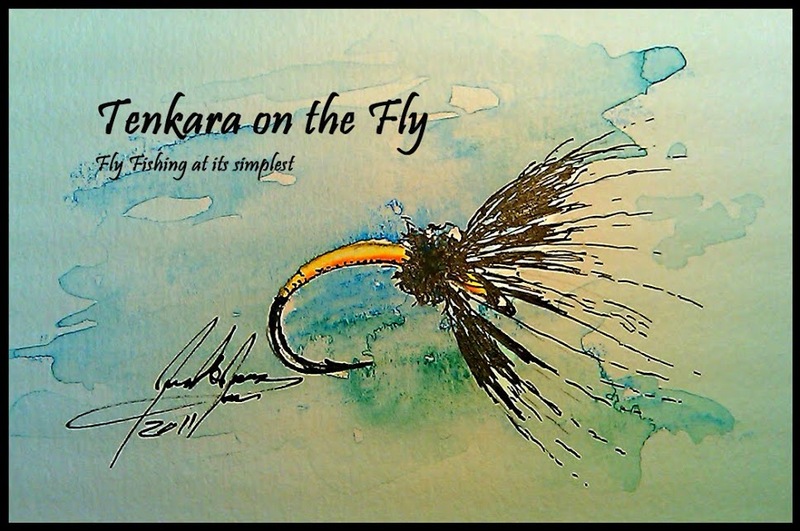 I like the different colors, a different spin on what I've seen of kebari style flies online. Thanks for posting. I agree, I like the color variations. I tend to tie my kebari style flies in black, yellow, etc. This makes me want to get some purple thread. Great post. Karell, It was great meeting you today in Rocky Mountain National Park. Please email me so I can send you the picture and know the correct spelling of your name (I'm guessing for now). You have my email address. Cheers. @Troutrageous1 & Brandon: thanks and the colors work too! caught a decent amount of brookies in RMNP on the first fly and then, after it was chewed up, on a blue thread sakasa kebari.